In 2014, Mopar celebrates the 50th anniversary of the iconic 426 HEMI. 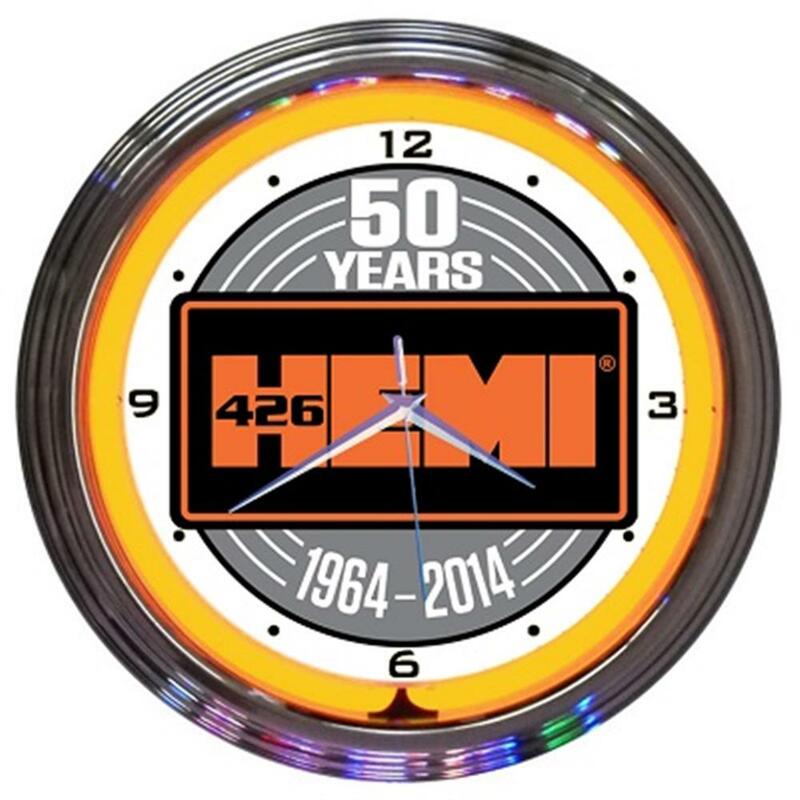 Commemorate this monumental event in automotive history with this neon clock featuring a hand blown ring of real glass neon around the bold 426 logo. 25 watts of light are generated from the single ring of neon orange, and the clock has a glass face with a multi-tiered art deco style rim. Quartz movement operates with one AA battery (not included), and neon is powered by an included AC adapter that plugs right into the wall outlet. 15" diameter.